Bruce Springsteen's historic sold-out series of performances of his one man show “Springsteen On Broadway” at Jujamcyn's Walter Kerr Theatre will be extended through a final New York City show December 15th, 2018. Eighty-one additional shows will go on sale for performances July 10th through December 15th, 2018, marking the third time "Springsteen On Broadway" has been extended since its initial eight-week run. “Springsteen On Broadway” has drawn exceptional demand since its first announcement. In order to recognize the tremendous number of fans who previously participated but have not had the opportunity to shop for tickets, for this onsale, only fans who previously registered, and have not purchased tickets, will be eligible to receive an invitation to the onsale. Eligible fans will receive additional information on Monday, March 26th to prepare in advance. A digital lottery will continue to operate through the extension for fans interested in purchasing tickets after the March 28th onsale. For details, visit luckyseat.com. "Springsteen On Broadway” began previews on October 3rd, 2017 and officially opened October 12th. 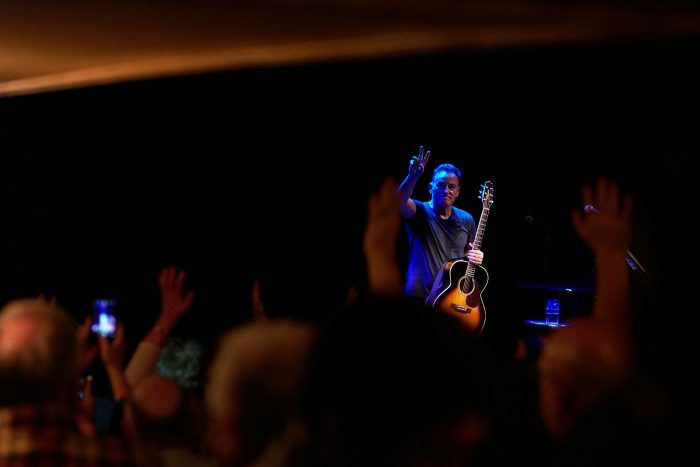 By the end of his previously announced Broadway run on June 30th, Bruce Springsteen will have performed 155 sold-out shows at the Walter Kerr Theatre. This extension will bring the total number of “Springsteen On Broadway” performances to 236. Jujamcyn's Walter Kerr Theatre is located at 219 West 48th Street. For more information on the show, visit brucespringsteen.net/broadway.